Two papers in the 25 September Neuron move axonal transport squarely into the limelight of research on triplet-repeat (or polyQ) diseases, including Huntington’s. One team of scientists, led by Larry Goldstein at the University of California, San Diego, reports that the presence of mutant huntingtin containing an expanded polyQ tract blocked axonal transport in fruit flies. Interestingly, Goldstein et al. also present a physiological function for the normal huntingtin protein with their other finding that axonal transport flows properly only when sufficient levels of it are present. (A physiological role for huntingtin has been stubbornly elusive, as is also true for AβPP/Aβ, α-synuclein, or PrP, for example). The second team, led by Scott Brady, now at University of Illinois, Chicago, found that polyQ proteins block axonal transport directly in axoplasm squeezed from giant squid axons. Together, the papers raise the question whether axonal transport blockages are a common pathogenic factor underlying many different neurodegenerative diseases. In ALS, mutations in transport proteins are known in patients and in mouse models Puls et al., 2003; also, see ARF related news story and ARF news story). 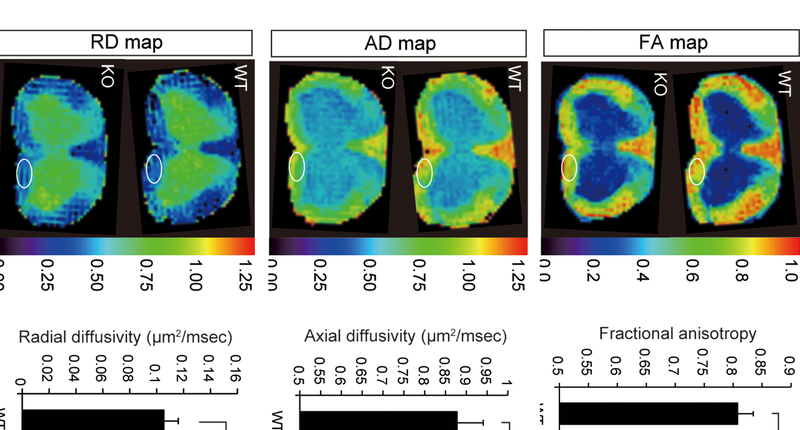 In AD, axonal transport is becoming an active area of investigation (see Alzforum Live Discussion, ARF related news story, and Trojanowski comment below. The field of polyQ disorders has until now focused more on the proteolysis of mutant huntingtin and on the effect of proteolytic fragments on gene expression. Clearly, the nucleus is a place where many things go awry in Huntington’s, write Mel Feany and Albert La Spada in an accompanying preview. But at the same time, neurodegeneration in polyQ diseases correlates better with aggregates in the neuropil than in the nucleus, they add, and full-length huntingtin is known to occur in the cytosol and associated with the cytoskeleton and membrane vesicles. Shermali Gunawardena and colleagues first tackled the question whether huntingtin has a normal function in axonal transport. When they decreased the expression of neuronal huntingtin with RNAi, they found that cellular organelles accumulated in blockages in embryos of these transgenic flies. Expression of mutant huntingtin essentially did the same. This suggests that too little of the normal protein (i.e., loss of function) and the presence of the mutant protein (i.e., gain of toxic function) create the same phenotype of poisoning normal axonal transport, at least in Drosophila. As for a mechanism, these scientists propose two things. First, mutant polyQ proteins sequester away motor proteins from their vesicle transport function. Second, this problem becomes confounded by the polyQ proteins’ propensity to aggregate and thus physically block passage of bulky cargo organelles through narrow axons. Györgyi Szebenyi et al. perfused labeled truncated versions of polyQ huntingtin into axoplasm extruded from giant squid. They found that fragments containing the polyQ stretch markedly reduced the speed and capacity of fast axonal transport in both directions. The effect only occurred with huntingtin peptides containing long CAG repeats in the HD-associated range, not with short repeats. These researchers found the same effect when using the androgen receptor protein, which underlies SMBA, a rare polyQ disease, and studied it further in transgenic cell lines. How do axonal transport abnormalities intertwine with demonstrated nuclear effects of mutant huntingtin fragments This remains unclear. One possibility is that cytoplasmic polyQ huntingtin causes axonal blockages that lead to progressive synaptic and axonal degeneration, while the fragments in the nucleus cause apoptosis in two parallel pathways of neurotoxicity, Goldstein’s team writes. Another possibility is that axonal transport disruptions somehow activate cell death pathways in mammalian neurons. Future work to reconcile the nuclear toxicity of polyQ proteins with the consequences of transport disturbances in existing animal models for Huntington’s and spinocerebellar ataxias puts within reach a comprehensive model for Huntington’s, Feany and LaSpada write.